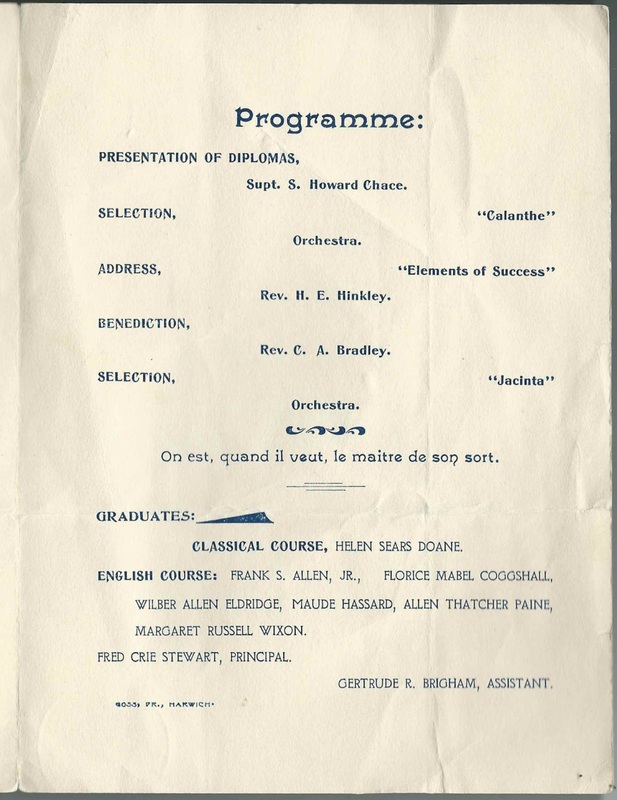 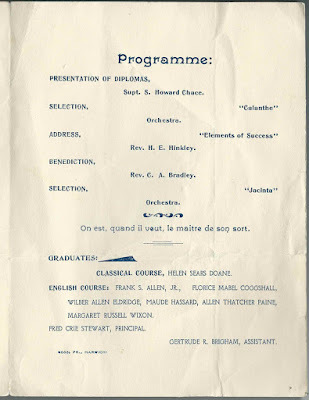 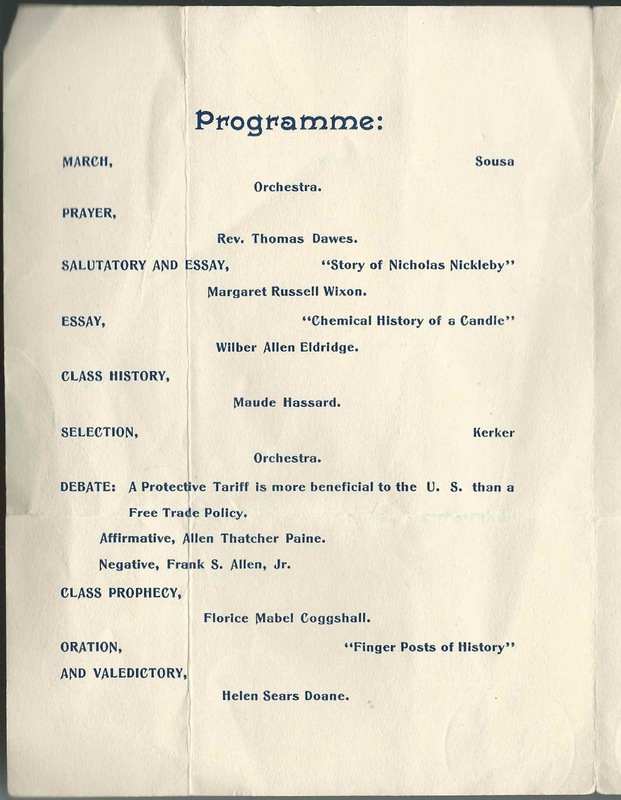 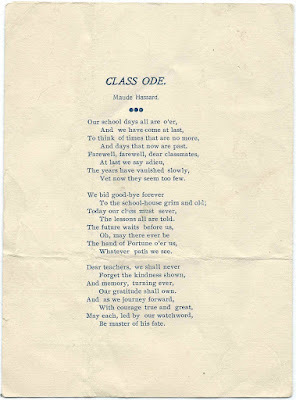 1900 graduation exercises program of Brewster High School at Brewster, Massachusetts. 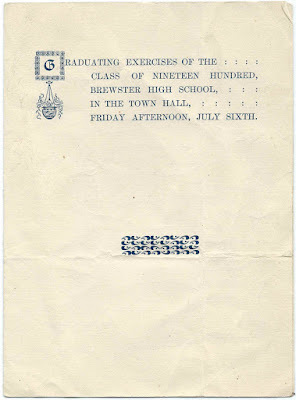 The exercises were held at the Town Hall on Friday afternoon, July 6, 1900. 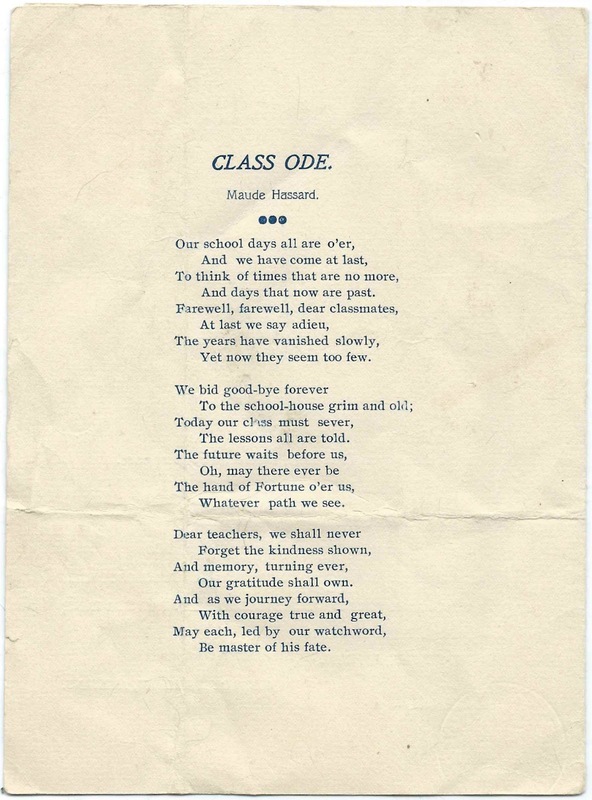 Paper approximately 10" by 6-3/4", folded in half to a dimension of 6-3/4" x 5". 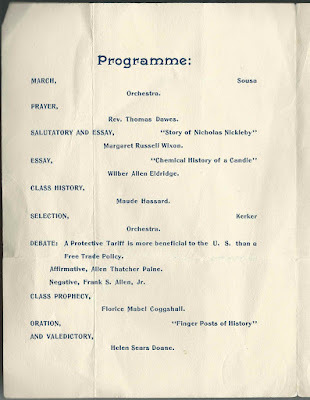 If you recognize any of these people and have a story to share, please leave a comment or contact me directly.